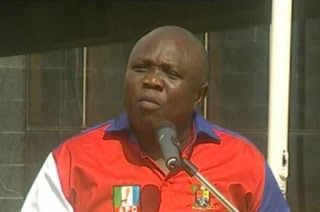 The Chairman of the All Progressives Congress in Lagos State, Tuned Balogun, has said he has been looking for the Lagos State Governor, Akinwunmi Ambode, to hand over to him his party membership card in the last 24 hours. Balogun, in a video obtained by newsmen on Monday, spoke after Sunday’s declaration by Ambode that there are plans to disenfranchise him since he does not have his party membership registration card to partake in the APC governorship primaries. The primaries was rescheduled for Monday (today) but has again been postponed by the National Working Committee of the party till Tuesday (tomorrow). In the video, the chairman of the party said the cards arrived about four days ago and that it had to be sorted out by wards. 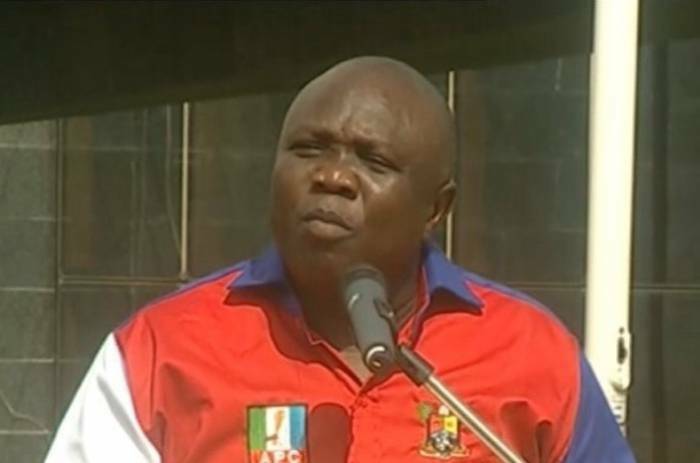 Balogun said it was after the sorting that he had been looking for Ambode to hand his over to him. He said several calls to the governor’s telephone line were unanswered. He said the same for a text message he sent. Balogun said he then resorted to calling Ambode’s Aide-De-Camp to alert the governor of the development. He said mum has also been the word from Ambode. Balogun said he will not give up trying, adding that he would be available in his office or anywhere that is Ambode’s choice to hand over the card to the governor.